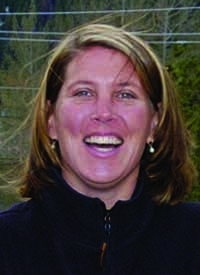 Wood River Community YMCA Executive Director Teresa Beahen Lipman, who has been with the facility since its inception, has left her post, effective May 11. She will serve as a consultant until mid-July. The Wood River Community YMCA's senior program director, Kat Vanden Heuvel, will act as interim director, according to a news release issued by the Y. "Teresa's contributions to the Y are too many to list," board Chair Alex Orb said in the release. "She led the Y through a $23 million capital campaign to construct the Y, she hired a dedicated staff, got us operational, and impacted so many of us in the community with what the Y has to offer." The release said Beahen Lipman is retiring, and will be "using her free time to spend with her young family and enjoying the Wood River Valley." Beahen Lipman has worked for YMCAs for 27 years—seven of those with the Ketchum facility. Her accomplishments cited in the news release include establishing Y on Wheels, a free after-school program offered at Woodside Elementary; increasing accessibility by offering free transportation to and from the Y in partnership with Mountain Rides; and launching the Make-a-Splash swim program, which taught every third-grader at Hemingway Elementary School how to swim. Board members are working with the national YMCA to conduct a search for Beahen Lipman's replacement. The board will ultimately decide on a successor, Orb said in an interview with the Idaho Mountain Express. He said that the local Y won't "lose any steps" in the interim. The board also is conducting an evaluation of general operations. "We're coming off three tough economic years," he said. "Everybody needs to look into their own organizations and ask, 'Is there a way we should be doing things differently or not?'" The Wood River YMCA has seen other changes recently. The board of directors announced last month the appointment of new officers. In addition to Orb, who previously served on the board, they are Vice Chair Kathy Jones, Secretary Ed Lawson and Treasurer Mike Schlatter. Orb said change is good for a board, "because you get a new influx of ideas." He said his goal is to make sure the Wood River YMCA is "vital and strong for our community, as envisioned to be." Beahen Lipman did not return a call seeking comment by press time.